I had a chance to play Santa at a couple friends’ schools This is Christine. She wanted a laptop, so I let her sit on my lap. Here’s a few more pictures which are representative of venue. The Guiyang for Laowai is listed below (prior post) and is a guidebook written by volunteers, all foreigners. It is in it’s third edition and goes obsolete rapidly. There are plenty good restaurants and other places of interest listed, in addition to what you find here. You may need a Virtual Private Network (VPN) to download it. The VPN gets through the firewall an lets you view western sites. I use Astrill ( https://www.astrill.com/ ), but there are several others out there. Astrill runs about $6 or $7 a month which is typical. If you have a friend with “Free” “gate” (spelling intentionally altered) he can probably give you the program, but their website is blocked from China. It’s a free vpn. I am Jack, and am the administrator of this site. I am rethinking this site and need suggestions for new content, and of course, content contributors. If you have ideas, please contact me at johnsporter@gmail.com . I am working on an interactive web page that will allow us to update this directory online with comments, directly below an image of each page. This is an active community and it is extremely difficult to keep this info updated. Any suggestions will be welcome. My friend’s son wants to go to the USA and wants to learn English. He is teaching me some Chinese and I am teaching him some English. He doesn’t like math, but is pretty good at English. I told him that he needs to learn math, not just English. In the USA, there are a lot of people who know how to speak English. He needs to know more than just that. He needs math. So here is the problem I gave him . . . 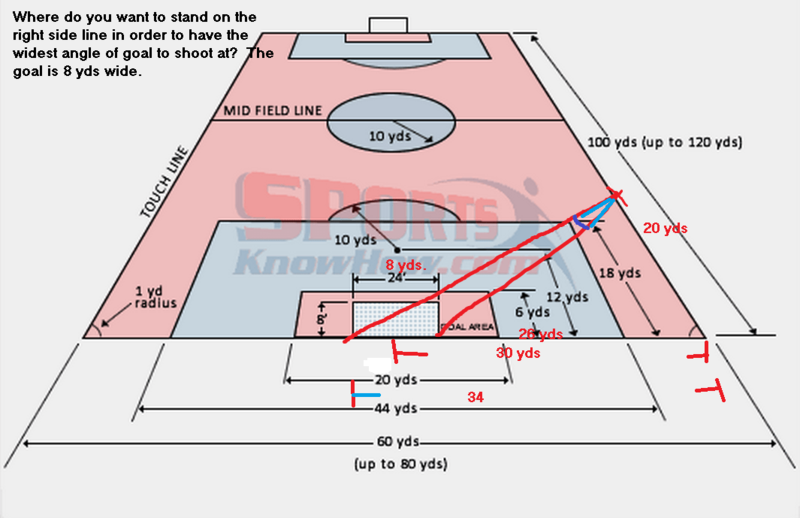 If you stand on the sideline of a soccer field what is the spot on that line that gives you the widest net to shoot at? You can test some sample values using sines and cosines to estimate that spot, but there is only one spot on that sideline that is the best. If you learn enough calculus to solve this problem, you will be strong. If you can’t do it, you will be weak.